With the odd materials from the Sacking of Selmion slowly creeping up on the Human Nation, the Emperor had no choice but to abandon his nation. He gather together a small group of people and decided to head out to the Orc nation, the only nation that they had any knowledge about...however, no one had any idea how to get there! As the Emperor and the group were setting off they noticed that the nether was slowly creeping up on them, the odd material lining almost everywhere the eye see, and portal spouting up occasionally. Just minutes after the Emperor departed, Nether consumed the human nation..turning all those who resided into odd, mutated abominations. The Emperor and his crew trekked and trekked. Through desert, forest, and swamp alike, until the group neared a particularly large jungle...something none of the travelers have seen before. As they walked through it, they came across an odd island, with which what appeared to be a body! After closer examination, the body was discovered to be that of an orc, who had instructions on how to get to Mordun! The crew somehow suddenly arrived in Selmion, with an odd feeling looming over them..however, horses were eagerly awaiting them! The group mounted their steeds and set off to Mordun! After galloping for what seemed like hours, over uneven rocks, and rough terrain...they eventually reached the desert that houses Mordrun. But as they reached the orc capital...they immediately knew something was amiss. The city was covered by the nether's grasp! Long, gnarled nether-like thngs protruted from the ground, the whole nation was burning, dead orcs lined the streets. However, the group couldn't help but hearing a faint, "HELP ME!!!" There was no other way..they HAD to enter the nation. After a few minutes of searching the group came upon a very small man named Alokiir Ironfist, the man said he was a dwarf, and that the only safe place on all of Tamora, is in the Dwarven nation! The crew, with their new dwarf friend then fled Mordrun, as large sky beasts shot flaming balls at them. Unfortunately , one of the members of the group was struck down..and the rest had to carry on without him. Alokiir took the mans horse who fell, and led the rest of the gorup to the wonderful underground city of Sanj'zaal. However, as the group neared the gates another dwarf appeared yelling things at the crew about someone called Baof having their heads, the other dwarf let the group pass after Alokiir threw him a bag of Dyells. 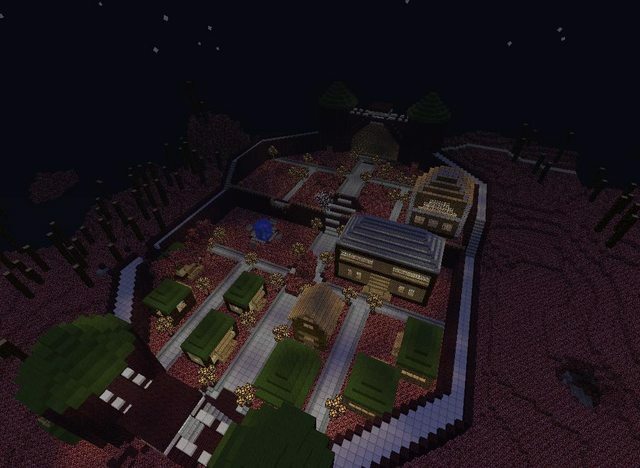 The Emperor and them then set up a place to stay at the Dwarven nation, and even set up a horse to bring people their from the human nation..but what now? Who is this Baof? And what of Tamora...is this really the only pace left? Will the people here ever leave...or are they doomed to rot in this nether-like prison!?! ?